The FDA warned, in late February 2012 that patients taking statins face a small increase in the risk of higher blood sugar levels and being diagnosed with diabetes. In addition, the FDA warned that statin use is also associated with an increased risk of memory loss and confusion. The statins, when used with dietary restrictions and exercise help to lower a person's "bad" cholesterol (low-density lipoprotein cholesterol). The products named in the FDA release included: Lipitor (atorvastatin), Lescol (fluvastatin), Mevacor (lovastatin), Altoprev (lovastatin extended-release), Livalo (pitavastatin), Pravachol (pravastatin), Crestor (rosuvastatin), and Zocor (simvastatin). Also named were combination products include: Advicor (lovastatin/niacin extended-release), Simcor (simvastatin/niacin extended-release), and Vytorin (simvastatin/ezetimibe). The warnings would probably not stop doctors from prescribing statins for patients with multiple risk factors for heart attacks disease, as the benefits for such patients tend to outweigh the risks. Nevertheless, for patients at low risk for heart disease the diabetes issue is, "real and a big deal, we are overcooking the statin use," said Dr. Eric J. Topol, a cardiologist, quoted in the Wall Street Journal (Feb 29, 2012). Dr. Topol also said, as quoted in the article, that research suggests that for every 200 people who take statins one will develop diabetes. By comparison one to two out of 100 patients at risk for a heart attack will avoid one. As for loss of memory and increased confusion, Amy Egan, the FDA deputy director for safety of metabolic and endocrinological products is quoted in the Wall Street Journal as saying, "cognitive changes can be quite dramatic" following statin use and they do disappear once statin therapy is stopped. The FDA has thus decided to change the labels on the statins, in view of the adverse effects of higher sugar levels and memory loss, associated with the statins. Certain cognitive (brain-related) effects have been reported with statin use. Statin labels will now include information about some patients experiencing memory loss and confusion. These reports generally have not been serious and the patients' symptoms were reversed by stopping the statin. However, patients should still alert their health care professional if these symptoms occur. Increases in blood sugar levels (hyperglycemia) have been reported with statin use. The FDA is also aware of studies showing that patients being treated with statins may have a small increased risk of increased blood sugar levels and of being diagnosed with type 2 diabetes mellitus. The labels will now warn healthcare professionals and patients of this potential risk." Faced with the risk of increased blood sugar, deteriorated memory and cognition, following statin treatment, an alternate way to help reduce cholesterol levels is to turn to a natural product that does not have the adverse effects of statins. Garlic has been shown to lower cholesterol, but the intake of large amounts of garlic needed to achieve the cardiovascular benefits is accompanied by unpleasant side effects. These include bad breath, body odor, heartburn, gas, nausea, vomiting or diarrhea; garlic may interact with blood-thinning medications, such as warfarin (Coumadin). 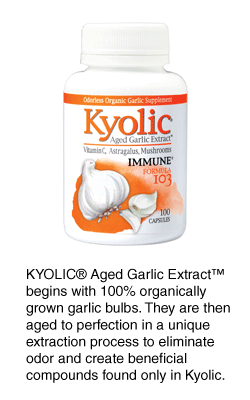 Enter kyolic aged garlic extract (AGE), an odorless garlic supplement, with cholesterol lowering capacity. AGE is produced from organic fresh garlic, by a process of extraction and aging, rendering it a powerful cholesterol-lowering supplement. The high antioxidant content of AGE plays and important role and protects the arteries and heart by preventing the risk- enhancing oxidation of the bad cholesterol (LDL), which promotes atherosclerosis. Aged garlic extract provides the health benefits of fresh garlic, sometimes even more so, without the possible adverse effects accompanying ingestion of the fresh bulb. In addition, whereas it is impossible to determine the exact amount of beneficial substances when eating fresh garlic, AGE is highly standardized and the content of the heart-protective compounds is consistent, determined in AGE by high quality control. The health beneficial components of AGE are largely organosulfur compounds, with high antioxidant activity. The majority is stable and highly bioavailable and includes water soluble S-allyl cysteine and S-allyl mercaptocysteine as well as lipid soluble compounds. The process of extraction and aging to produce AGE increases the levels of beneficial antioxidants, to well above those of fresh garlic, in part by converting unstable and harsh compounds, such as allicin, to stable health-promoting substances. 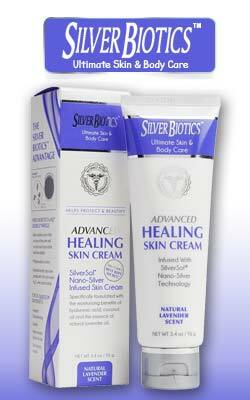 Also present are flavonoids, a phenol allixin and other beneficial nutrients, including selenium. High cholesterol levels promote the formation of atherosclerotic plaques that are risk factors for both heart attacks and stroke; in the latter case the resulting deprivation of blood (ischemia) may result in neuronal death and lead to dementia. High cholesterol is also associated with increased levels of free-radical-producing ?-amyloid peptides (Abeta), the hallmark of Alzheimer's disease. A clinical study showed that a daily AGE dose of 2.4-4.8 gm, over the course of six months, reduced total cholesterol by five to seven percent, lowered LDL, triglycerides and blood pressure, prevented clot-promoting platelet aggregation, and increased HDL, the good cholesterol. AGE lowers cholesterol in a similar way to statin drugs. The major component of AGE, water soluble S-ally cysteine, was found to lower cholesterol by deactivating the enzyme required in the production of Cholesterol (3-hydroxy-3-methylglutaryl-CoA), by as much as 41 percent. The efficacy of AGE in reducing cholesterol was seen even in patients on statin treatment. When AGE was combined with statins in the treatment of patients with heart disease, the suppression of cholesterol synthesis was additive. AGE, alone, can therefore serve as a safe and effective cholesterol-lowering nutrient, without the increased risk of diabetes and memory loss that can endanger some people on statin treatment, as well as fatigue and muscle pains, that have been reported by some people on statin treatment.